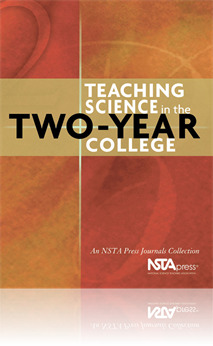 •An Overview of the Uniqueness of Teaching Science in a Two-Year College examines the isolation faculty members experience, the science anxiety many students feel, the special issues of part-time faculty, staffing crises, and the value of forming a partnership with the counseling department. •Curricular Issues includes the importance of the National Science Education Standards; fresh approaches to designing courses for nonscience majors; key methodological and content-oriented ingredients; teaching strategies for adult learners; and case studies about a community-oriented science-learning activity and an integrated science course for nonscience majors. •Teaching Strategies covers the hazards of lecture courses, the challenges and rewards of student-centered instruction, and case studies for teaching everything from biology to the value of science. •Using Information and Communication Technologies looks at computerized quizzes in the classroom and developing, adapting, and evaluating distance learning for science students. Read a sample chapter: Hello! Is Anybody Out There?